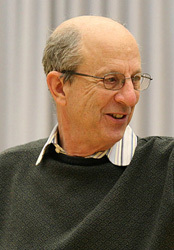 Founding Chair of Drama at the University of California at Irvine in 1965, Robert Cohen became the Claire Trevor Professor of Drama in 1982, and the University’s Distinguished Professor of Research in 2015. He is, in roughly equal measure, a director, playwright, translator, drama critic, acting theorist and acting teacher, but is most widely known as the author of a dozen-plus books and three dozen-plus articles on acting, directing and theatre — including Acting One, for the last three decades the best-selling acting text in the United States. Directing, 1968productions at the Utah and Colorado Shakespeare Festivals, plus other professional stagings at the Virginia Museum Theatre, the Image Theatre in Boston, Stages Theatre Center in Hollywood, the Summer Repertory Theatre in Santa Rosa, Theatre 40 in Beverly Hills, and the Focused Program in Medieval Drama at Irvine. His books include six leading texts in acting, one in directing, another in theatrical collaboration, a best-selling Introduction to Theatre, a study of French playwright Jean Giraudoux, a collection of his published theatre essays, two edited dramatic play anthologies, and both original plays and play translations. He is also a longtime theatre critic for the London-published Plays International and formerly for Contemporary Literary Criticism, in which he has reviewed over four hundred plays around the United States and in dozens of countries abroad. With Growtowski, 1985As a teacher, Cohen specializes in acting – particularly his own, closely-wrought integration of realism’s authentic underpinnings with the classical, musical, and experimental dramatic styles commonly performed today. His investigation of acting extends to performance studies, scientific theory, and global theatre practice, particularly in Asia and both Western and Eastern Europe. 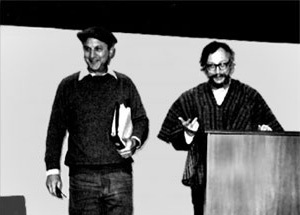 In the late 1980s, Cohen paired with Polish director Jerzy Grotowski in the creation and operation of the Objective Drama Program on the UCI campus: a three-year, full-time examination of the origins of ritual performance and its theoretical and practical application to contemporary acting and theatre art; at present, his plays Machiavelli: the art of terror, Bzzzap!, and The Möbius Strip fare in the repertory of the National Romanian Theatre in Cluj. Performing, 1971 and at TVI Studios in New York and Los Angeles; he also speaks and conducts workshops regularly around the country and abroad, with recent residencies in Korea, China, Hungary, Finland, Estonia, Sweden, Costa Rica, Hong Kong, Canada, Romania, Australia, and in at least half of the states in the U.S.
UCI awarded Cohen its highest honor, the UCI Medal, in 1993, and conferred on him a Claire Trevor Professorship and Bren Fellowship in 2001. In 1999 he received the Career Achievement Award in Academic Theatre from the Association for Theatre in Higher Education, and in subsequent years he has been awarded the Honoris Causa Professor degree at Babes-Bolyai University in Romania, the Polish Medal of Honor in Wroclaw and UCI’s 2015 Distinguished Professor of Research. He lives in Laguna Beach, California with his wife, Lorna Cohen, and has two children, Michael and Whitney. Following his 50th year on the UCI faculty in 2015, Robert assumed the title of Professor Emeritus, but he continues to write, lecture, and see and review plays in both the United States and abroad.